I’m standing in front of a long conference table, rubbing my clammy palms on my blazer. My committee is discussing my transcripts and research progress. One professor is questioning the importance of my project, someone is whispering that I have no idea how the laser works, and another says I shouldn’t be in graduate school at all. After their deliberation, they tell me I have to retake all of my courses and my oral exam! Tears start welling up in my eyes and my chest tightens. I can’t breathe. “How can this be happening to me? I already passed the classes!” Suddenly, I wake up. It is 3am, a cold sweat covers my skin and my heart is racing. I sit in bed for a while trying to convince myself it was just a dream. This pattern of nightmares continues for weeks after my oral exam. Over the next month, my nightmares got worse and I was exhausted all the time. I tried sleeping more instead of going out with friends. My social life became non-existent, which just heightened my feelings of isolation. During my time lying awake in the middle of the night, I scoured the internet to find ways to recover from burnout. The more I searched my symptoms, the more I learned about anxiety. Guilt? Whether I was in lab or at home, absolutely. I realized that this was why I could never catch my breath, why I felt on edge. I was actually suffering from anxiety and somehow, putting a name to the issue made me feel like I could find a solution. Many graduate students suffer from anxiety and/or depression. One of the worst feelings was that I was alone in this, but I am not. 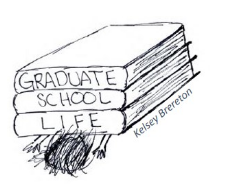 An article from Science Magazine discusses mental health issues common for graduate students including depression, anxiety, and burnout resulting from the stresses of maintaining work-life balance, graduate school progress, and career development. 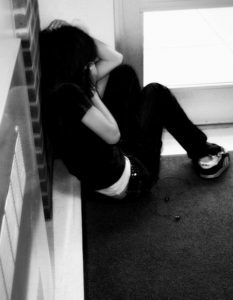 A study done at University of California-Berkeley also confirmed the heightened prevalence of depression in their graduate student population. About half of their graduate students admitted to struggling with depression. The stress of planning career prospects, balancing financial stability, progressing academically, and maintaining advisor relationships were common triggers for many students. This launched another study to discover the connection between graduate student mental health and career development. The researchers have all had personal or second hand experiences with various mental illnesses. As of April 2016, the researchers had designed the online questionnaire for which they would collect submissions for 3 months and anticipate publishing the findings at a later date. One of the researchers, Lindsay Bira, a clinical psychologist at the University of Texas Health Science Center at San Antonio, believes that having a social support network is essential for graduate students. Having people who understand what you are going through can be comforting and also help each other develop supportive friendships. This is just one way to cope with the stress of graduate school life, listed below are other ways I have found to reduce my stress. Practice Mindfulness: When things are going wrong in lab, take a step back from the situation and try to acknowledge your frustrations in a non-judgemental way. As a graduate student I spend a majority of my time focused on my research that I feel if my experiment failed then I failed as a scientist. I have to work at removing myself emotionally from the failed experiment and remind myself that I am more than just a scientist. I am not a failure because my science failed. Physical Activity: Get a buddy and hit the gym, go for a bike ride, or take a walk. Exercise produces hormones that relieve stress and improve your mood. Hobbies: Daily journaling, reading, watching a movie, hiking, and photography are great activities to do that get your mind off your research. Taking time to do activities you enjoy improves your mood, outlook on life, and builds self-esteem. Joining clubs centered around your hobbies is a great way to meet new people and even shown to increase work performance. Adequate sleep: Sleep deprivation and mental health disorders seem to be linked and getting enough sleep may boost mental health resilience. People with depression, bipolar disorder, and anxiety disorders have shown a prevalence of sleep problems. But how much sleep is adequate? That is widely dependent on the individual. However, sleep schedule and sleep quality were the factors that determined emotional well-being. Now I know most of us haven’t had a bedtime since we were in middle school. It turns out, our Moms were right about this being good for us. Try to go bed and wake-up around the same time everyday, yep even the weekends. “Bingeing” on sleep on the weekends will only make you feel extra groggy on Mondays. I have used a sleep tracker app, Sleep Cycle, to help set-up a regular sleep schedule. This app monitors your movement in the bed and uses that information to generate your personalized sleep cycle. The alarm function is linked to the cycle so it wakes you when you’re in the lightest sleep state. Even with more awareness and coping strategies, the stigma of mental health is still heavily present, especially within graduate programs. We need to treat mental health issues just like any other illness. Seeking help when you are hurting is a wise decision, not to be mocked. Graduate students face many stressful situations. Where can someone go to get help? Students suffering from mental health issues can get help at UNC through CAPS (Counseling and Psychological Services). Sometimes, all you need is a nonjudgmental ear to listen, and these resources are here to keep things in perspective during the perpetual stress of graduate school. CAPS offers students confidential walk-in appointments, self-help and online self-assessment resources, and a variety of therapy options. I confided in my friends about my struggles with anxiety and they suggested that I talk to a professional. I went to a doctor who helped me get my anxiety under control. I have made it a priority to schedule time daily for my hobbies. I started reading historical fiction novels again and picked up crocheting. I have gotten called an old lady for this, but I’m telling it helped me! The repetitive task gave my mind something else to focus on beside the negative storm of thoughts about orals prep and experiment failures. A bonus was my family got blankets and hats for Christmas. I still have days that anxiety threatens to creep back into my life, but now I know how to manage it. I feel confident in myself again and sleep much better. No more dreams about my committee failing me, just a T-rex in a clown suit chasing me through a maze. That’s a story for another time.